Posted in Hey! Guess who else is hiring? Title: Slx Rear Derailleur W/ Clutch! WTF is a Plus Bike? - Sept. 28, 2015, 9:18 a.m.
Pivot Mach 6 Carbon – First Impressions - May 19, 2015, 7:19 a.m.
@Obsession bikes we sell both Pivot and Ibis. Ibis was the company that got us onto DW links and Pivot took us into 650B ( in a big way ). Bikes and bike companies evolve and The Ibis HD3 and the Pivot Mach 6 are both good examples of this. If you check out the Geo's the two bikes are very similar yet still there are differences. The Pivot is a slacker 66 , the Ibis 66.6. The reach per size - different. BB height and chain stay length are shockingly similar. The one spec that of course you can not read is the feel. I believe this has a lot to do with how the rear shock flows through its stroke and how the chain is impacted by the design of the rear end. These are hard points to quantify. I could blab on about feel to you but unless we are clones you would still have to take it with a grain of salt. You can test both yourself at Obsession as we have developed a test track in our hood which does a good job of defining a bikes handling and feel. We have dirt ready demos in Pivot and Trek. 19 Winter Riding Essentials - Oct. 30, 2013, 6:55 a.m.
Cheap and cheerful winter booties: plastic bags ! Yes I said it. I could have said $60 Gore socks but Plastic bags over wool socks work well. Truth be told Shimano and Specialized make winter boots and they are THE best but you probably blew the budget on new tires so plastic bags are ok. The toque: (The American Beanie) Carry a nice dry one for the walk out or post ride shiver but take one of those fancy under helemt jobs for the ride. Great Tire levers; Why? because you have about 5 minutes to fix that flat before your friends leave you for Old man Winter to devour. Dont bring your ego to a tire fight - use the sticks. Good chain tool - same thing reason. A LIFEPROOF case for your fully charged phone. Best $65 I have spent on a phone is this waterproof cover. Throw yourself in the creek, upside down, crawl out and HAHA your phone is still awesome. Fully charged. Why? Have you ever wanted to hear what Tim from North Shore Search and Rescue actually says about the guys in the backcountry lost with a lousy phone and low batteries. I bet it is rich. We don't generally get lost mountain biking but we do get injured- charge it. Throw some Spaceman Spiff Food in your bag. A 3 month old Power Bar is better then nothing waiting for NSSR to come get your buddy out of the wooods. A Winter holiday to Costa Rica or Peru. Nothing better to take with you then the dream of an Epic trip to some place hot. Red Bull Rampage 2013: Live Webcast - Oct. 11, 2013, 12:19 p.m.
Come buy for a beer/burger to help raise money to put helmets on local kids heads. Cane Creek CHURN 17-Way Shock - April 1, 2013, 9:36 a.m.
Once again the wizards of design at Cane Creek have created an awesome solution to the greatest issue that faces the bike business - simplicity. We will promptly be out of business if the riders of Mountain Bikes can figure out issues such as suspension settings - Bravo Cane Creek ! Berrecloth: Red Bull Playgrounds - Jan. 29, 2013, 8:14 a.m. Yeah!!! Props to living in the best place on earth! Merry Christmas from NSMB! - Dec. 17, 2012, 10:19 a.m.
Do you have a bicycle Obsession? We are Hiring - March 21, 2017, 5:58 p.m. Obsession: Bikes is hiring for the Position of Cycling Experience Advisers ( Thx Shawn B ). -Passion for Bikes - All kinds of bikes. -Some Sales experience would be an asset. -Bike Fitting would also be a bonus. -S-Tec or Trek University certified helps. -And the best skill... a real passion to help folks find their next bike. Loading up Bikes now - Savings are HUGE - Oct. 20, 2016, 11:50 a.m.
YEAR END BLOWOUT - Oct. 19, 2016, 7:30 p.m.
All Sales final , No layaways, Yes good idea to buy now !! Now Hiring - Obsession: Bikes - April 8, 2015, 8:28 a.m.
Hey! Guess who else is hiring? - March 9, 2015, 5:50 p.m.
Ibis HD3 - Jan. 25, 2015, 4:45 p.m.
Boxing Week Sale! - Dec. 27, 2014, 5:51 p.m.
All travel, mid travel, no travel controlled by your thumb. The rumours are true … This bike is cheating!! Boxing Week Sale! - Dec. 27, 2014, 10:55 a.m. Your Riding Light Demo Centre - Nov. 22, 2014, 1:09 p.m.
We are offering demos on riding lights to keep you riding through the winter. Call (604) 985 2213 or email james@obsessionbikes.com for inquiries or to reserve. Defeat the winter darkness…no excuses. September Clearout: Sick Deals, Sick Rides - Sept. 7, 2014, 10:40 a.m.
Plus all 2012 and 2013 bikes are priced to clear! 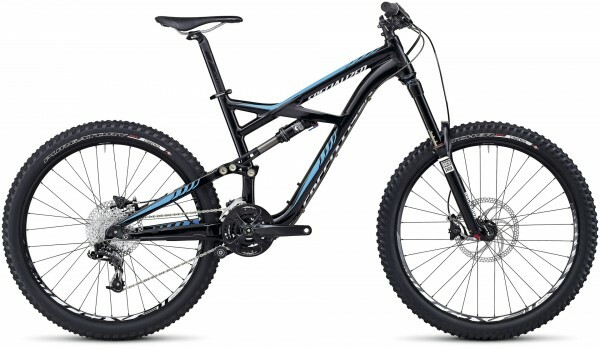 Find our list of on-sale bikes HERE!